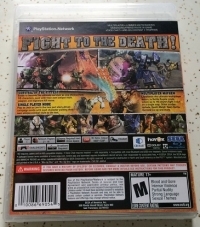 Box Text: Fight to the death! Battle to become the ultimate survivor as you choose from 16 characters, each with their own unique style, weapon, and signature kill move. Play as Jack or Leo in the two part story-driven campaign mode with each character putting their own unique combat style to the test. Experience the ultimate multiplayer action, in Battle Royale mode, where up to 16 players fight it out on a single map. Other modes include, Death Match, Team Battle, Survival Co-op and more. 07-15-2014 kwisatzhaderach Box Text Fight to the death! SURVIVAL OF THE FITTEST Battle to become the ultimate survivor as you choose from 16 characters, each with their own unique style, weapon, and signature kill move. SINGLE PLAYER MODE Play as Jack or Leo in the two part story-driven campaign mode with each character putting their own unique combat style to the test. MULTIPLAYER MAYHEM Experience the ultimate multiplayer action, in Battle Royale mode, where up to 16 players fight it out on a single map. Other modes include, Death Match, Team Battle, Survival Co-op and more. 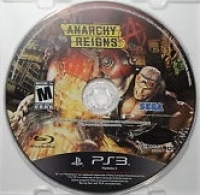 This is a list of VGCollect users who have Anarchy Reigns in their Collection. 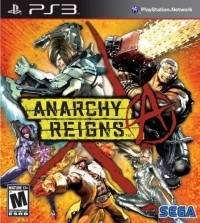 This is a list of VGCollect users who have Anarchy Reigns in their Sell List. This is a list of VGCollect users who have Anarchy Reigns in their Wish List.